New Kendrick Lamar alert! 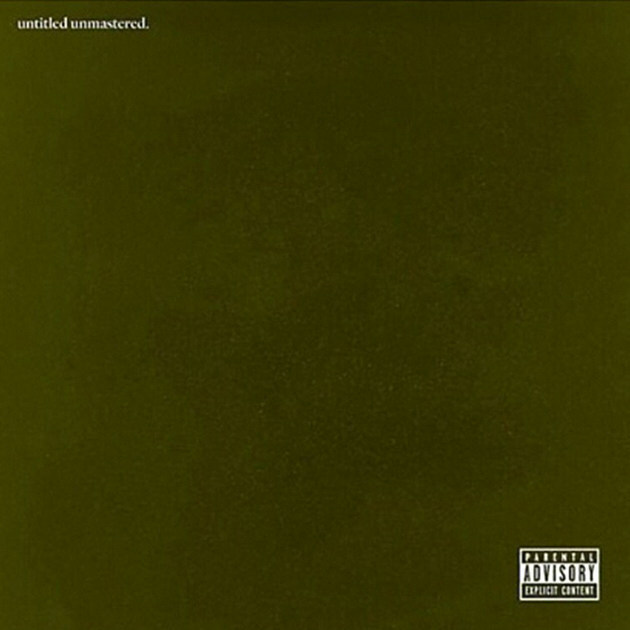 K. Dot just dropped a surprise album, untitled unmastered. Just like the name of the project, the new joint comes with eight songs that have yet to be mastered or named. However, some of them have been premiered; certain tracks Kendrick performed on The Colbert Report and The Tonight Show Starring Jimmy Fallon. The latest LP comes after Top Dawg’s CEO, Anthony Tiffith promised that a TDE member would drop an album this week — after revealing that there were six projects in the making. “Just 2 show n—– I’m not playing. Ive decided 2 drop a project 1 day this week. I won’t say wut day or who. It cud be 2nite So don’t ask me jus stay close to the net. Is this Kool with y’all?,” he said via Instagram post earlier this week. But many fans speculated that it would be one of TDE’s other artists to drop something — considering Lamar is one of their brightest stars. So when it was Lamar whose album dropped, it certainly came as a surprise to hip-hop heads. “Finally getting into this Kendrick. Feeling like I’m opening a present,” tweeted one excited fan, echoing many others. But it seems TDE is just getting revved up as the collective still has five more albums to release this year. We’re definitely looking forward to hearing projects from TDE’s impressive camp as well. Also, apparently, we need to thank LeBron James for this. And according to Swizz Beatz, his son Egypt produced “untitled 07.” Check out what tweeters are saying about the album and stream Cornrow Kenny’s latest below. Kendrick really tugged at my wig tonight lmao I'm disheveled but I gotta stay strong because Beyoncé preys on the WEAK and I can't die. Finally getting into this Kendrick. Feeling like I'm opening a present. Seriously…..for a EP/Album of nothing but "Throwaway tracks"…..this Kendrick Untitled album is really groovy.